Let me just say this ahead of time, don’t be upset if your game is not one of the top paying eSports games at the moment. There are a TON of eSports games paying a TON of money to players. Just because yours isn’t one of the top 5 doesn’t mean it doesn’t have the potential to earn you a good amount of money. For some popular games that may not make the initial list, I will try to help you guys out by telling you where you stand on the scale of eSports earnings! If you’ve been keeping up to date with the articles, I just wrote a post similar to this one about which eSports game is making the most money for gamers, so if you already read that, this came as no surprise. Incase you wanted a little more of an idea how much money Dota 2 earned eSports gamers, I’ll fill you in now. Dota 2 dished out 21, 597,868.87 to a total of 491 players in 234 tournaments. That’s an insane amount of money. This is actually the second lowest amount of tournaments among the top 5 games which means Dota 2’s pay-outs were even higher per tournament! Okay League of Legends fans, let’s hear it. I’m sure you thought you were winning that one had you not read the last article. With such a huge community it was actually a bit of a surprise to me as well, but League of Legends still managed to dish out a boatload of money in eSports earnings. 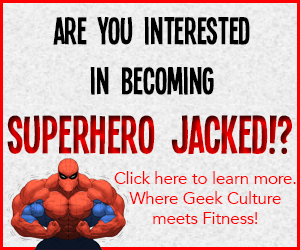 Just how big is a boatload? League of Legends dished out $15,242,495.40 to 2017 player in 871 tournaments. So, a lot more tournaments, and millions of dollars less, BUT that’s still a crazy amount of money for eSports to be bringing in. All us gamers have no reason to not be proud. StarCraft is definitely a top eSports game that really pays out some impressive numbers considering Brood Wars comes in at number five which you’ll read about later in the article. 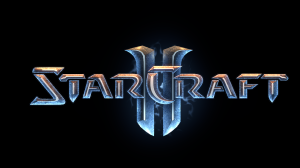 StarCraft 2 alone dished out a whopping $13,800,639.83 to 1108 players in 1711 tournaments. Obviously less players with more tournaments because of the type of game, but StarCraft is seeing a lot of tournaments in eSports. For all you SC players out there who aren’t taking advantage of this potential, maybe it’s time you started! I have to give credit where credit is due, this is another very impressive statistic. Global Offensive comes in at number seven on the top eSports earnings list, which makes Counter-Strike just another game that is really full of potential! Incase you don’t believe me, listen to these stats. Counter-Strike paid up $10,414,628.20 to 2294 players in 511 tournaments. Are you installing Counter-Strike yet? If not, I’ll even include the Global Offensive stats being that they don’t make the cut of the top 5. Global Offensive paid out $2,518,188.15 to 1188 players in 244 tournaments. With the amount of tournaments Counter-Strike is still seeing, and the amount of money it pays towards eSports, it’s a surprise more gamers don’t jump all over it’s earning potential. I gave this one away a little earlier, but it still holds the number five spot of the highest paid eSports games in the world. Can’t take anything away from that position. You’ll agree too once I read you its numbers. 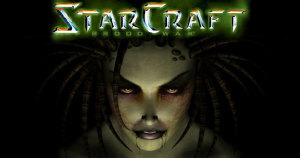 StarCraft Brood War coughed up $5,281,427.68 to just 356 players in only 197 tournaments. Yes, I got that 197 tournaments correct. With such a low amount of tournaments it’s a surprise Brood War was still able to support eSports with its more then five million dollars! Thanks StarCraft! Alright alright, I’m sure some of you are like “Hey, where’s my game?!”. I will try to cover a few more! World of Warcraft came in at sixth so it’s only fair I name them next. They tallied up a total of $3,183,591.33 to 292 players in 579 tournaments, making quite a fine contribution to the eSports community. Halo 2 made the list, coming in at number 11 having dished out $1,352,350.00 to 91 players in 57 tournaments. Halo also made the top 50 games with 3 other titles that didn’t make the cut for this list, but still earning eSports totals a significant amount of money. Next up is all you Call of Duty gamers! I’m sorry I made you hold your breathe this long already! Call of Duty Black Ops 2, Ghosts and Modern Warfare 3 all came in at 12, 13 and 14 on the list, so it’s safe to say COD made its contribution to eSports as well. They managed to spend 3,661,110.21 among the three of them to just 242 players in 39 tournaments. Pretty impressive! Hearthstone has already dished out $341,733.33 to 135 players in 94 tournaments putting it at number 26 on the list in quite a short amount of time. Talk about making a wave in eSports! I can go on and on, but seeing as how we were supposed to already be done at 5 and managed to name another 7 or so games, we’ll call it quits for today! Having gone through all these games though, it starts to give you a broader look at how big eSports it, and how much potential there is for Pro Gamers to earn a living today. We wish nothing but luck to all those who are diving head first into this awesome community of eSports! We’re here to help!